With the rapid growth in the use of artificial intelligence technology and current data explosion, enterprises must be logical about the huge amount of data they gather to grow themselves and gain a top position in the market. Data processing and storage becomes easier when a third-party vendor does this for their customers. This is the reason due to which healthcare industries, educational institutions, IT companies, etc., prefer the use of advance cloud security solutions. Theoretically, a cloud platform is a magical place where people find it easy to perform their official or personal tasks. Majorly, organizations pay money to third-party service provider to fix all their IT data storage issues, relieving them from no more patching, data backup, cooling, power backup, and other challenges related to the data center maintenance. Cloud service vendors commit to providing 24*7 data storage service and, as long as clients are in their correct pricing tier, they will enjoy their great performance, elasticity, and a guarantee that their information will never be exposed or lost. So far, very good – but at the same time, do you think about cloud security? Cloud service providers enforce high-level of standards to assure their clients that they will not leak or lose their data. But, they are not the major in charge of cloud data security and access management for online apps and data used by clients. Not only in charge of advance cloud security but, you are also responsible for the regulations, which are to be enforced on the online storage environment. If internet criminals take away your information from the cloud, you are equally responsible for the threat, if they stole the on-premises data. You have to pay the compliance fine, clear your legal payments, and suffer from the reputation damage that will be caused because of the threat occurrence. Whether you are working on IaaS, SaaS, or PaaS platform by default, every client is benefited with some free in-built cloud security features. Simply, you activate these security options and use them to protect your business cloud data. Remember that ‘these in-built controls are to be activated from the end of customers, which means that CSPs will not activate them from their end.’ The main issue begins when you decide to release yourself from the burden of hiring database admins and use DBaaS offering of cloud providers. Some of the database-as-a-service (DBaaS) examples are Microsoft Azure SQL Database or Amazon Relation database service. Do You Know – DBaaS option transfers the database management to cloud provider, and will not take any responsibility for the advance cloud security or compliance of related database. At this stage, you may recall that you already have your own data protection controls and then, request cloud service providers to install them on DBaSS. But, wait a minute – this request idea is not useful! It is so because vendors notify you that executing 3rd party products on their database would avoid the warranty. Shocked? Surely be thinking that what to do now? One obvious method is to activate the native logging. This approach permits feeding of database logs into your already existing cloud security solutions. In some cases, this is enough solution. However, still, there are some inherent issues with this method. Any security or insight alerts would not work in real time and meanwhile, hackers can create a second copy of native logs. Also, logs are stored in simple content, so any encryption algorithm used on your network traffic or database is useless. Prior to the activating of native logging, another problem to be observed is performance. When the native logging is enabled, a database has to dedicate more time in writing data to files due to which you might suffer from slow performance. All these issues state that native logging procedure doesn’t offer individual responsibilities so that the employees who can hold the power of turning on or off are the same individuals who can use your confidential information. Beware, a high risk of threat could be there! What to do to Monitor Cloud Security? So, what do you personally feel that a sensible and security-minded company should do in this situation? How is it possible for a company to monitor a DBaaS measure for security as well as compliance? The answer to all these questions is to hire an innovative strategy to circumvent limitations on security products installations on the database of cloud service vendors. Search for an advance cloud security solution, which sits in between the cloud service provider storage and customers who are using it. This solution should have the ability to send your existing security products without installation of any product on database stored online. Are These Advance Cloud Security Solutions Available? 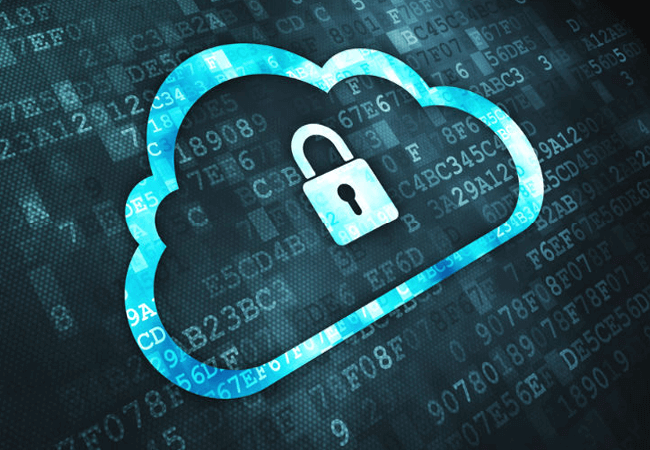 CloudCodes CASB security is one of the perfect approaches to achieve a comprehensive solution for online data protection. It renders all advance cloud security measures (along with a real-time monitoring system) that are needed to safeguard your information from data breaches or cybercrimes. This particular solution provides customers relieve from the headache of cloud security risks and, enable them to focus more on their actual work by using cloud computing technology in the best way.